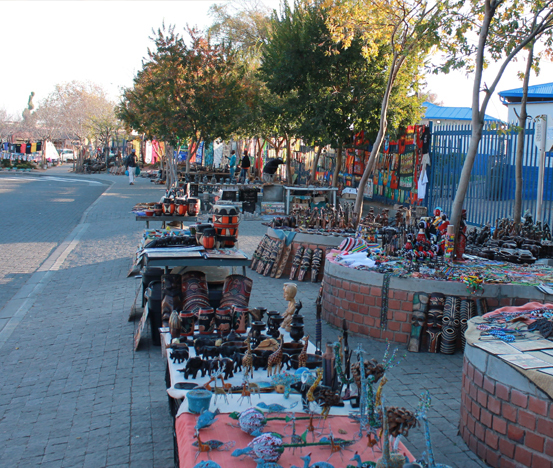 Your next stop is Boomtown Station to visit the world famous Vilakazi Street. Make your way to Thokoza Park Station in Chris Hani Road for your return trip. You should not wait long for a bus as this is the busiest station on the Rea Vaya trunk route, with buses stopping at the station every five minutes or so. Vilakazi Street is within easy walking distance of Boomtown Station and can be seen on the other side of a small valley. It is advisable to wait the 20 minutes or so for the bus though, as the road to Vilakazi Street is busy and could be dangerous for pedestrians. This street in Orlando West is one of the most famous in the world – for it is home to two Nobel Peace Prize winners, former president Nelson Mandela, whose house here is now a museum and national heritage site, and Archbishop Emeritus Desmond Tutu, who still has his home here. Vilakazi Street is also famous for being part of the route taken by marching schoolchildren on 16 June 1976, before their confrontation with police. The route snakes from Morris Isaacson High School in Mputhi Street, Jabavu, to the Hector Pieterson Memorial in Kumalo Street, Orlando West. The street is always busy and a favourite stop for foreign tourists. There is plenty of entertainment from the many individuals and cultural groups performing along the pavement and African trinkets to be bought from the various street traders. Have a drinks break at Sakhumzi, Nambitha or the Mandela Family Restaurant, all located in the street. These restaurants all offer light lunches and buffet meals. With all the refurbishments done to Vilakazi Street to turn it into a tourist hub, it has unfortunately lost much of its struggle appearance and authentic charm. In addition, a number of residents, and in fact throughout Soweto, have upgraded their little red-brown matchbox homes with gothic columns, Romanesque pillars and cement eagles taking flight, none of which really add to Soweto's sense of place.You will still be able to see plenty of examples of the old-style homes, though. Yet, above all you should visit this area, still rich with human suffering and history, to experience the pride and friendliness of the inhabitants of the biggest township in South Africa. Be prepared to be greeted, welcomed and embraced with warmth, with a "hello, how are you" or a "welcome to Soweto" coming from young and old at regular intervals as you walk the streets. You will feel at home and safe wherever you venture, and perhaps get the sense that for the first time Sowetans are truly proud of their place in South Africa. 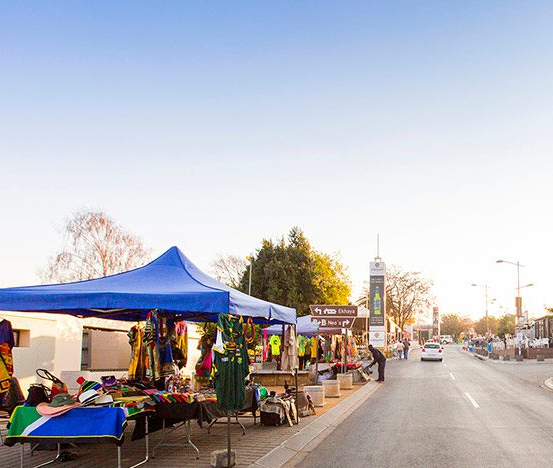 Unfortunately, the narrow Vilakazi Street quickly becomes a traffic nightmare as large tourist buses, taxi tour operators, pedestrians and even cyclists – making use of one of the cycling tours offered in Soweto – all juggle for space on the road. It is for this reason that a tour making use of Rea Vaya buses is such a viable option, offering cheap and painless transport to and from all the sites.